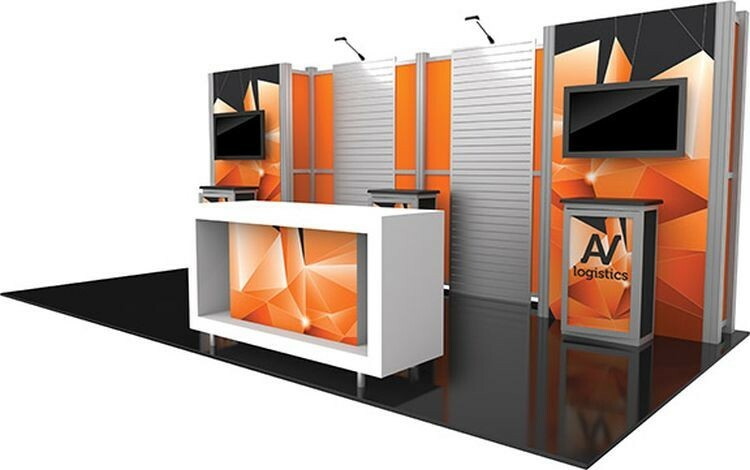 Hybrid Pro Modular Kit 16 is an ideal 10ft x 20ft inline display solution, perfect for the serious exhibitor. Kit 16 features a heavy-duty aluminum extrusion frame coupled with seamless push-fit SEG fabric graphics. Monitor mounts and backwall counters add functionality and locking storage, while dual slot wall features provide ample room for displaying products. LED display lighting accent the slot walls and illuminate the display.